Nirmala Rajasekar is a master of the classical South Indian, Carnatic, music style, and world class Veena player and vocalist. Rajasekar spent the last 25 years performing at venues across the globe from the UK, to Germany, India, and Minnesota. 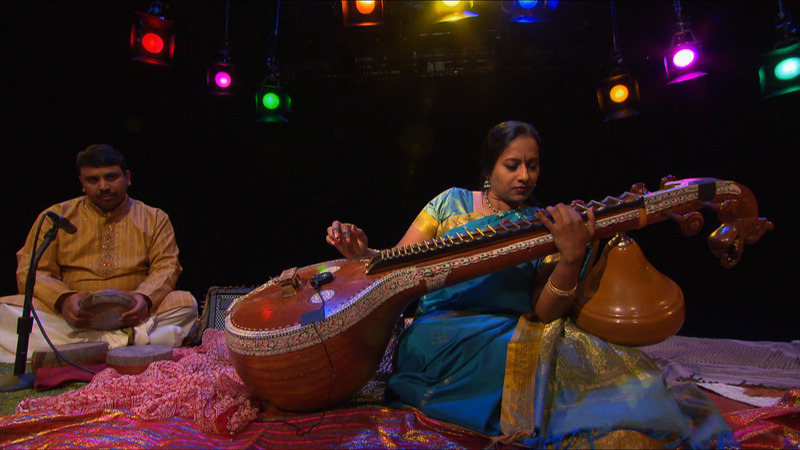 Nirmala Rajasekar, a master of the classical South Indian Carnatic music style, is a world-class Veena player and vocalist. Rajasekar spent the last 25 years performing at venues across the globe from the UK, to Germany, India and Minnesota. She has released three solo albums to date, and is working on her forthcoming fourth title, Into the Raga. Rajasekar has also branched out in a collaborative poetry project with Robert Bly called Poems of Miraabai, scored a documentary film, and continues to pass on her musical knowledge at the Naadha Rasa Center for Music as both teacher and artistic director.